We’ve probably all made a few resolutions for the new year, and it could be that you’re visiting my blog because one of your goals for 2013 is to buy a North Shore home! It’s an exciting time in the North Shore as we see home prices rising and more buyers and sellers entering the real estate market. In working as a North Shore Real Estate agent for over twenty years, one of my goals is to provide the service and information that clients deserve. The North Shore Real Estate market can seem overwhelming, but having a trusted North Shore agent by your side can ensure a smooth experience whether you’re buying or selling a North Shore home. For some of you, you’re hoping to downsize in your new North Shore home. You’ve either come to a point in your life where the home you’re currently in is too big, or you’re hoping to simplify by choosing a North Shore townhome or condo. Either way, downsizing in a home can be quite the process. If you’ve lived in your home for some time, you may have storage filled with many items that have been passed down through your family or things you’ve collected throughout your lifetime. I thought it may help to highlight seven tips for downsizing that will help you clear out, declutter and maybe even cash in on some of the items you have! Take a look! 1. Accept that downsizing is tough- You’ll find when going through your things, there are some very personal items that will be hard to get rid of. Whether a set of furniture passed down in your family or a collection of dolls from your grandmother; you’ll have to be willing to let go of those items that may not fit in your new space. 2. Find trusted experts- If you’re planning on conducting a large house sale on most of your items; you’ll want to ask the experts. You can stop by a local antique store or do your own search online. These are personal items so make sure you know monetary value before selling. 3. Call in an appraiser- If you don’t have any idea of what you’ve got, consider paying an hourly fee to an appraiser of “household contents” or “decorative arts” who will visit your home. The appraiser should be disinterested, meaning they shouldn’t be bidding for your items or working on commission. This will help give you a better idea of what’s in your home. 4. Be wary of family lore- Just because grandma believed something was valuable doesn’t mean it is. On the other hand, family members may have something that they use daily and don’t recognize the value of. The rule of thumb is to figure out an items worth for yourself. 5. Don’t throw out items prematurely- Many people throw out things that appear to be junk, but actually have extreme value. This is where calling in the experts becomes necessary! Throw away items should include things like old newspapers, moldy clothing, cracked everyday china, stuffed animals, bed linens and other items that take up space and that you know are not sellable. 6. Call in an auction house- Auction houses will also send out specialists to review your household contents, and suggest items you might consign. While at an estate sale you have a limited audience and you set the price, at auction you can reach an international audience and the price can be bid up if you’re lucky. Some auction houses, however, will take lower-value items only with no reserve—meaning you must sell the item no matter how little is bid. 7. Donate and deduct- Bags of old clothes and rickety furniture you can be left out for the Salvation Army or Goodwill to pick up. But if you have something special to donate you might want to seek out a local charity that can use the item. Aside from the satisfaction of giving, you get a charitable deduction on your tax return—assuming you itemize. Interested in seeing some of the beautiful townhomes, condos and cozy homes currently on the North Shore Real Estate market? Please let me know! There are a number of great homes that will offer you the simplified lifestyle you’re after. Please feel free to contact me today to begin your North Shore home search or to ask questions you have regarding the North Shore Real Estate market. A Weekend of Education & Fun on The North Shore! Living on Chicago’s North Shore means you’re never at a loss for things to do or places to see. These cities, just north of the thriving metropolis of Chicago, offer the best in suburban life while incorporating their own unique cultures. Whether you choose to live in Winnetka, Glencoe, Deerfield, Northbrook or Highland Park; you’ll find the arts, excellent restaurants, year round activities, a music scene, fantastic schools and much more. Not only is the North Shore ideal for families, but young professionals have found these vibrant cities to be irresistible. Retirees are equally as impressed with the quaint and peaceful lifestyle that the North Shore has to offer. As a North Shore Real Estate agent, I can’t say enough about each of the North Shore cities I serve. If you are hoping to buy a home on the North Shore this year, or are relocating and aren’t sure where to start, I would love the opportunity to talk with you! I enjoy helping my clients not only find a home, but a lifestyle that fits their needs and personality as well! Visiting the North Shore this weekend to view some of the homes on the North Shore Real Estate market? Below are a few great events that are taking place that will help give you a better feel of the community and lifestyle! Take a look! - Warm up this weekend by trying out new moves on the dance floor! The Deerfield Center for Ballroom & Dance is hosting a Spicy Salsa Social Dance Party that is open to the public. All skill levels are welcome to join in on this fun event! The cost of the evening is $15, which includes a group salsa lesson from 8-8:30pm and open dancing with a DJ from 8:30-10:30pm. Whether you’re a seasoned pro, or have never tried salsa dancing before; this will be a fun evening so gather family and friends and join in! Learn more at the Ballroom & Dance website. - Visit the Chicago Botanic Garden this Sunday to explore secrets of the rainforest! Learn about rainforest trees and how they’re used to make chewing gum and rubber. You’ll be able to create your own bouncing ball and a flavorful gum to take home! Register for this event on the Chicago Botanic Garden website. 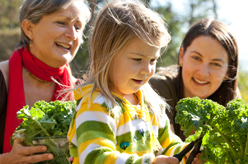 - The 8th Annual FUNtastic Family Fair, presented by Infinity Foundation, is a fun way for children and parents to learn about the latest improved health and wellness information. Great for children PreK-6th grade, the fair features over 50 hands-on interactive exhibits which teach children about fitness, healthy choices, arts and expression and much more! Entertainment such as juggling, music, magic, balloon art and face painting are just a few of the things that enhance this fun learning experience. Admission is $5 per person (children uder age 4 are free). A portion of the proceeds will go towards the Infinity Foundation, which is a local nonprofit that provides education through over 200 Courses for Life each year, teaching all ages about personal development and holistic health. To learn more about the FUNtastic Family Fair, please visit the Infinity Foundation website. I hope if you are visiting the North Shore, you’ll be able to take part in one of these events! Or, if you currently live on the North Shore and are looking for a fun way to get out in your community; you won’t want to miss these North Shore happenings! As always, I’m here to answer any questions you may have about the North Shore and would love to show you some of the homes currently available on the North Shore. Why NOW is the Perfect Time to Sell Your North Shore Home! As a North Shore Real Estate agent serving the cities of Winnetka, Glencoe, Highland Park, Deerfield and Northbrook for over twenty years, I can honestly say that I’m really encouraged about what’s happening in the current housing market. Last week, we looked at the market statistics for the North Shore and, as I post these each month; it’s great to see home prices on the rise and homes selling more quickly than they have the past few years. 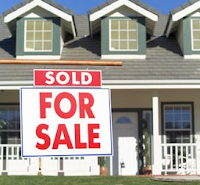 The year ended well with an upswing of 10% on existing home sales and the National Association of Realtors expects the same in 2013. Another sign that the market is on the rise is that the total housing inventory is the lowest it’s been since 2005! NAR Chief Economist noted that "Home sales are recovering now based solely on fundamental demand and favorable affordability conditions." If you’re considering selling your home this coming year, now is a great time to do so! You’ll find the market working in your favor as home prices are continuing to rise, and the fact that fewer homes on the market increase the competition between buyers. Looking for your home to really stand out to buyers? Putting your home on the market now or in February will mean you’ll get a head start on the spring market. Oftentimes, sellers will wait to sell their home in the spring when they feel more buyers are looking. However, I thought I’d give you a few compelling reason to put your North Shore home on the market as soon as possible. Take a look! 1. Inventory is still low and fewer new homes are coming on the market now than in the Spring. Your North Shore home will get more attention from buyers! 2. The buyers who are looking now are serious about purchasing a home. You’ll find this is true because why else would someone be looking for a home when it’s cold? 3. More buyers are financially ready. They’ve received their year end bonuses and anticipate tax refunds. 4. Studies show that in 2012, homes listed in January and February received, on average, 8% higher sales prices than homes listed in March and April. So often, sellers are reluctant to put their home on the market because they feel the weight of the home selling process. However, with the right North Shore Real Estate agent, you’ll find the selling process can be a smooth and efficient experience. I’ve been priveledged to help many clients throughout Chicago’s North Shore sell their homes, and I would love the opportunity to help you as well! If you’re interested in learning more about the home selling process and what I will do to help get your home sold; please contact me today! Highland Park Active Listings: There are a total of 195 properties actively on the market with the average price of $1,122,350 in Highland Park. Highland Park Sold Listings: 36 properties closed last month in Highland Park with an average sales price of $609,272, the average time on market for these properties was 155 days. Winnetka Active Listings: There are a total of 91 properties actively on the market with the average price of $2,384,844 in Winnetka. Winnetka Sold Listings: 23 properties closed last month in Winnetka with an average sales price of $933,391, the average time on market for these properties was 72days. Glencoe Active Listings: There are a total of 55 properties actively on the market with the average price of $1,680,484 in Glencoe. Glencoe Sold Listings: 7 properties closed last month in Glencoe with an average sales price of $612,286, the average time on market for these properties was 97days. 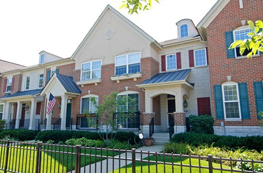 Northbrook Active Listings: There are a total of 143 properties actively on the market with the average price of $633,072 in Northbrook. Northbrook Sold Listings: 39 properties closed last month in Northbrook with an average sales price of $308,937, the average time on market for these properties was 82 days. Deerfield Active Listings: There are a total of 86 properties actively on the market with the average price of $490,773 in Deerfield. Deerfield Sold Listings: 25 properties closed last month in Deerfield with an average sales price of $335,145, the average time on market for these properties was 97 days. Keep Winter Blues at Bay with These Fun North Shore Events! Happy New Year! I hope 2013 is off to a great start for you and that you’re looking forward to all the new year has in store. As a North Shore Real Estate agent, I get excited about looking ahead at market predictions for North Shore homes and a year filled with the great events and attractions that the North Shore has to offer. One of the things I enjoy about working in the real estate industry and helping people buy and sell homes along the North Shore is being able to highlight the excellent quality of life that can be found in cities like Winnetka, Glencoe, Highland Park, Northbrook and Deerfield. Location is one of the largest determining factors in buying a home and I can assure you you’ll be impressed with any North Shore city you choose to call "home." If you’re new to the area or are considering relocating to Chicago’s North Shore, you’ll want to check out these upcoming events that will give you a good feel for each city and community! These events are also a great way to stay active and have fun this winter! - Come join in this celebration of the feature film release of The Hobbit! Parents and children are welcome for a book discussion of the classic fantasy and adventure story by J.R.R. Tolkien. For children in grades 3 – 6 with parent or caregiver. While this event is free, registration is required! Please call the library at 847.835.5056 to register. Antique Toy Trains VI: Trains of the North Shore and Their Toy Models. - Don’t miss this fun, family activity with refreshments in downtown Highland Park! Venture over to the Highland Park Museum and view the moving model train, see historic antique train models, watch train movies and learn all about Trains of the North Shore! $5.00 Individuals, $12.00 Families. (Complimentary tickets for 2 adults and 4 children with Dual/Family Membership) Also, if you join the Historical Society, you can enjoy the train show for free! For more information, please visit the Highland Park Historical Society website. - Keep the winter blues at bay with the much anticipated, award-winning Winter Carnival in Northbrook! The Carnival is FREE and open for all to attend. This fun filled day includes: horse drawn carriage rides, holiday bingo, a sled-decorating contest, ice skating, a bonfire and s’mores and much more! The Northbrook Park always seeks to provide great events throughout the year to encourage community interaction and growth. You won’t want to miss this fun event! 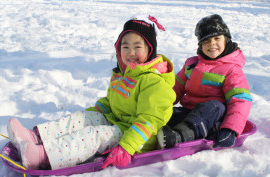 Learn more about the Northbrook Winter Carnival. I hope you have the opportunity to take part in one, or all, of these North Shore happenings! If you have questions about the North Shore Real Estate market or are ready to begin your North Shore home search, feel free to contact me today! I would be happy to help you get to know which North Shore city fits your needs and lifestyle, and help you find the North Shore home that’s right for you.